Besides getting rave reviews directly from knitters and crocheters alike, we're pleased to hear such great things from our retailers, such as the Loopy Ewe, who added 10 feet of wall space just to make room for Knitter's Pride needles. We can't think of a greater compliment - click here to read more on their blog! Hillsborough Yarn Shop reports that the Dreamz Fixed Circulars "have quickly become our bestselling circulars, and as such, are forever being reordered." They've even added our shawl pins to their roster of Knitter's Pride products - click here to read their shop blog! 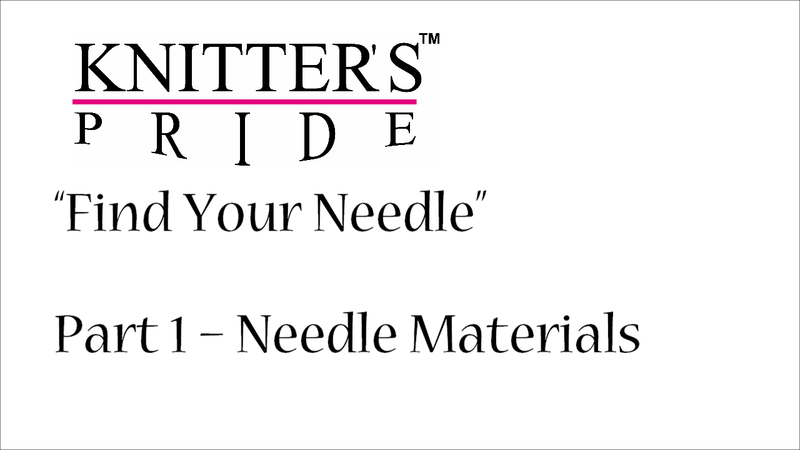 Finally, Halcyon yarn had this to say about their latest addition to their shop:"You’ve heard the buzz about the new needles from Knitter’s Pride… When they first debuted we heard comments like “they’re [the needles] going to change the knitting needle industry”. They’re the talk of the town so we had to take a look. What did we find upon close inspection? – Terrific, good quality, high performing needles at affordable prices." That's just the beginning of their recent post welcoming our Dreamz and Nova needles to their shop - click here to read more! We've been receiving lots of feedback from both customers and retailers alike about our Nova needles; the quality is unparalleled for the price point, and whether you're using the straights, circulars, or DPNs, the points are perfect for a variety of projects. Nothing says it better than a video review, though - Kristen from Jimmy Beans Wool and Kirstin from Muench Yarns give you a fantastic overview of the Nova Interchangeable Set, highlighting their favorite aspects such as smooth joins, pointy tips, and flexible cables. Meet our Newest Needle Sets! 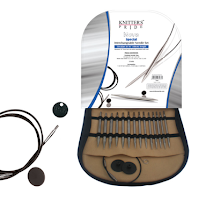 After hearing feedback from enthusiastic knitters and yarn store owners alike, we have developed several new needle sets for your knitting pleasure! Perhaps the most talked-about needles from Knitter's Pride (though we're pleased to say it's a rather close competition), we have two new Cubics sets you'll want to try. 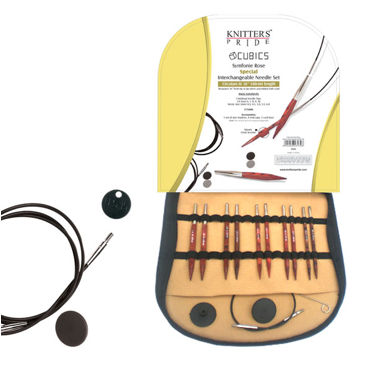 The Cubics Deluxe IC needle set features 7 needle tips ranging in sizes from US #6-11. You'll also receive 4 Cords (to make 24'', 40'' & 2 of 32''), as well as size markers, end caps and cord keys, all in a fabric case with see-through vinyl. 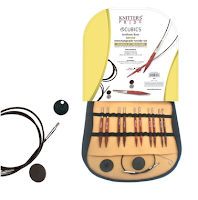 The Cubics Special IC (Interchangeable) needle set features five needle pairs ranging in sizes from US #6 to US #10, 2 cords to make 16" circumference total (when tips and cord are joined together), plus other useful accessories (size markers, end caps and cord keys), all packaged in an attractive fabric case with see-through vinyl. What makes this set special is the 4" needle tips which allow for knitting smaller circumferences when used with the set's cords. 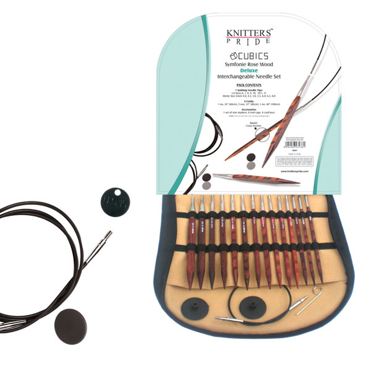 Both sets feature the unique ergonomic shape of our Cubics line, providing comfort to the hand and uniform stitch formation as you knit the hours away. The easy-to-connect cords have smooth joins that enables easy stitch glide and no snagging; they're also resilient and flexible, lying flat with ease, and won't kink or twist as you knit with them. Beginners and advanced knitters alike will appreciate these thoughtfully-packaged sets. Dreamz enthusiasts can also rejoice - our latest set in your favorite color-coded wooden needles was designed with you in mind! 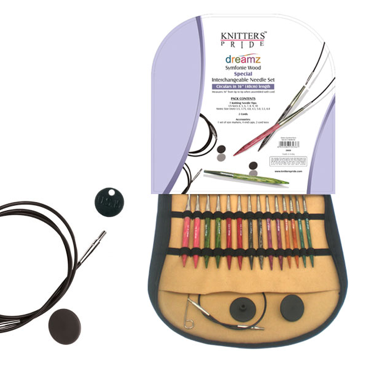 The Dreamz Special IC set comes with seven of the most-used needle sizes, ranging from US #4 to US #10, 2 cords to make 16" circumference total (when tips and cord are joined together), plus size markers, end caps and cord keys. Like our other sets, they're attractively packaged in a fabric case with see-through vinyl. The needles tips measure 4" in length, featuring perfect points that are flawlessly tapered. When used with the included cords, you'll be able to knit smaller circumferences in the round - perfect for hats, and cowls! For those of you who prefer metal needle tips, but also want to knit smaller circumferences with circular needles, look no further than the Nova Special IC set. 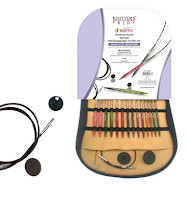 Again, you'll receive seven of the most-used needle sizes, ranging from US #4 to US #10, 2 cords to make 16" circumference total (when tips and cord are joined together), plus size markers, end caps and cord keys - all in a fabric case with see-through vinyl. Each 4" needle tip is engineered from hollow brass pipes and plated with high quality nickel; the polished surface and sharp tapered points are a delight to knit with. 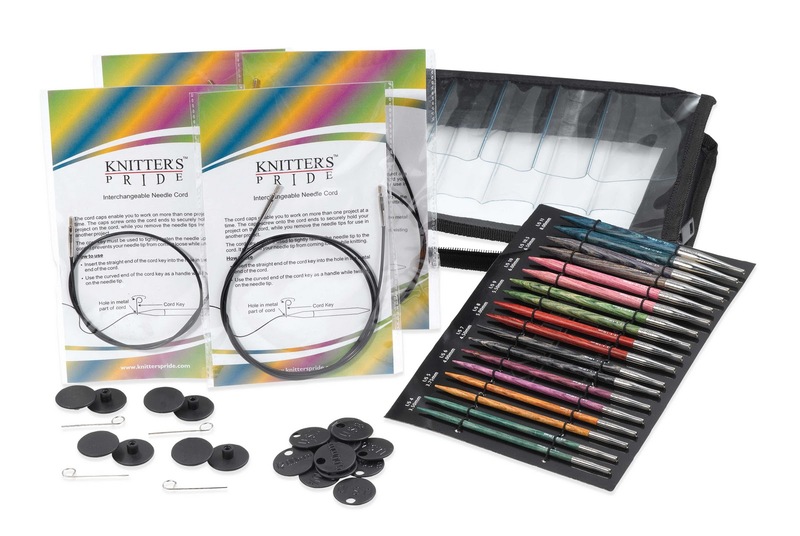 Finally, if you're new to Knitter's Pride needles and don't know where to start, our revamped Comby Sampler Set gives you a taste of our most popular needles types and sizes. This affordable set contains a pair each of Dreamz (US #6), Cubics (US #7) and Nova (US #8) tips along with cords in two useful lengths (to make 24'' & 40''), end caps and cord keys. 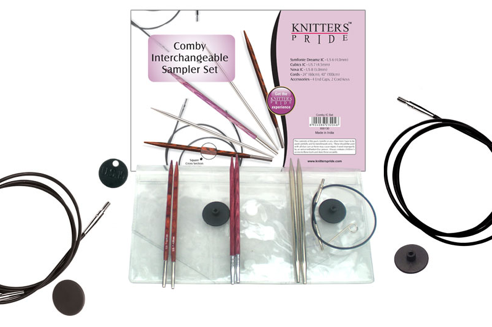 Packaged in a lovely fabric case with see-through vinyl, the Comby Sampler Set is ideal for introducing interchangeable needles to new knitters and makes a great gift!